Studies have shown that women have higher levels of HgH (human growth hormone) during the early follicular phase of the menstrual cycle (immediately after menstruation). Fitness programs may want to utilize this finding to gear results specifically for women. HgH promotes strength gains. 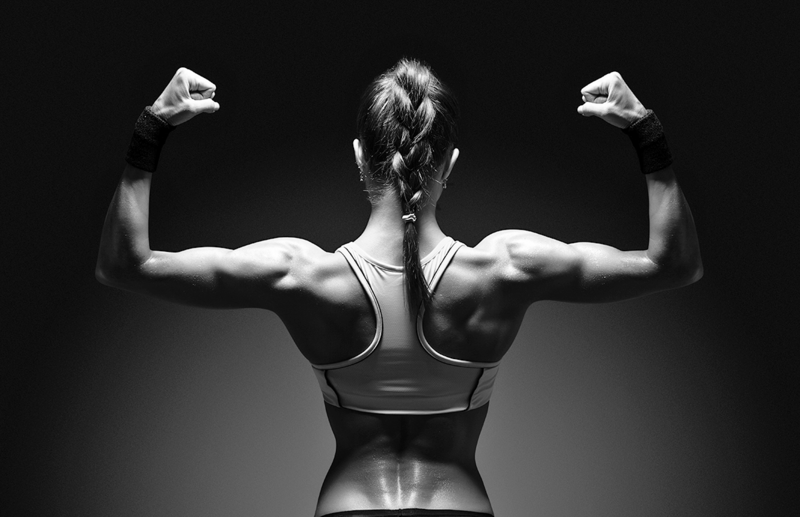 Women may be able to use this to their advantage as follows: Heavy weight lifting, after appropriate warm-ups, by lifting maximal weight with 6-8 repetitions per set (3-4 sets per exercise) for 3 sessions spaced 3 days apart each beginning the first session as soon after menstruation occurs as is possible. The remainder of the month (assuming “typical” 28-day menstrual cycle) focuses on cardiovascular training and low weight/high rep (12-15 repetitions per set, again 3-4 sets per exercise) training. Heavy weights create strength; low weight high repetition generates blood flow and tissue healing. This program may maximize strength gains while minimizing overuse injury by avoiding prolonged periods of heavy strain but enabling women to “sculpt” their bodies for what they would like to achieve visually.